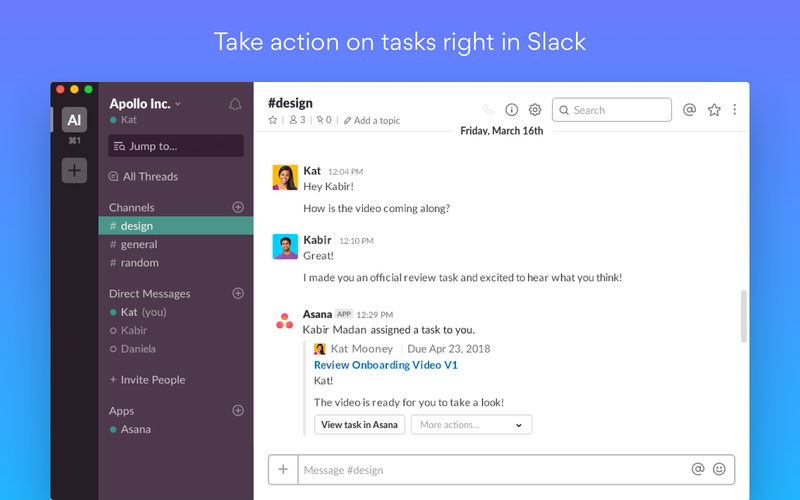 • Take action on tasks right from notifications or an Asana link. You can see the task details, complete the task, change the assignee and/or due date, add it to a project, or open it in Asana. 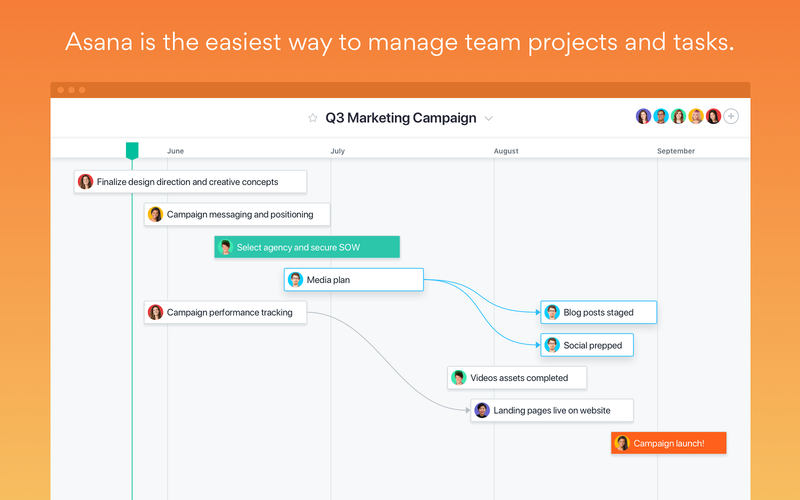 • Turn a Slack message into a task in Asana or add the message to an existing task by using Actions. 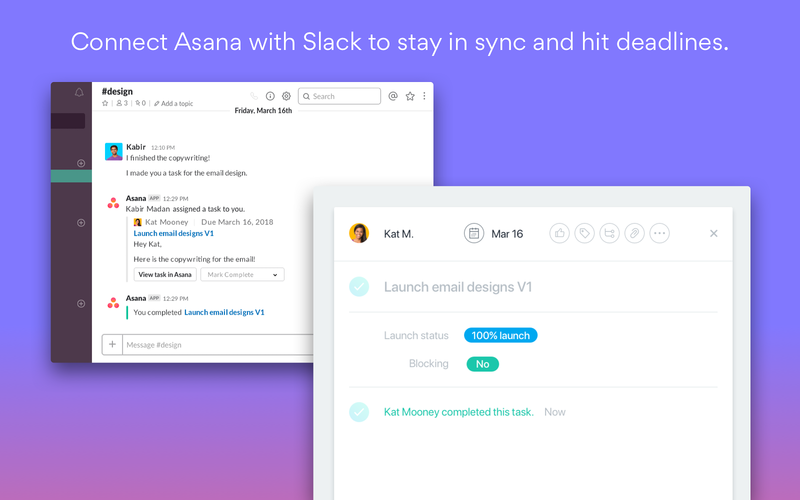 • Get notifications on your work happening in Asana. 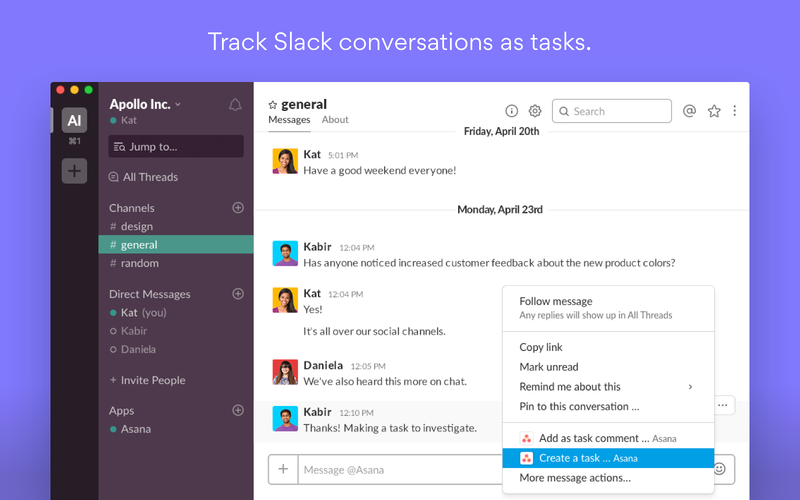 You can get notifications for tasks assigned to you and for tasks you’re following. • Link a specific Asana project to a Slack channel. The channel will receive notifications when updates and changes are made to the project. • Create a new task in Asana without leaving Slack by typing /asana create into the message box.To learn more about Asana for Slack, visit our Guide. View links from app.asana.com in messages. 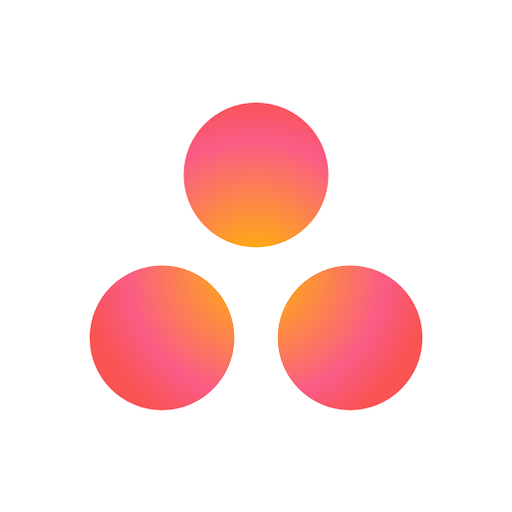 Direct message members who use Asana, and view messages, activity, and files in that DM.